We provide English to Turkish translation by certified Turkish translators with years of experience. Our translation is done with utmost professionalism and accuracy that not translates the source but conveys the true meaning of the content. Our Turkish translators have native-language proficiency and well-versed in subject matters relating to specific industries such as Marketing, I.T, Legal, Tourism & Travel and more. Our translators are based both in Malaysia and in Singapore. VEQTA Translations is a language service provider in Malaysia that can provide localization and translation into most commercial languages. We have subject matter experts available for perfect Turkish translation for most major industries. We adhere to localization best practices such as styleguides, glossaries, CAT Tools and full quality assurance processes. Our clients from Selangor, Johor, Sabah, Penang and Singapore rely on us for a high quality and accurate Turkish translation of all types of documents and content. 1. 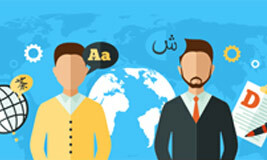 Turkish Main Translation Phase Our native Turkish translators will be assigned on the project according to their experience with similar content. We only use experienced native translators who have been thoroughly vetted by language testing proficiency tests. 2. Turkish Editing Once the translation has passed certain quality criteria, it’s passed to the Editor. The Turkish Editor is a senior translator who will go through and polish the text, e.g correcting syntax, grammar and flow. 3. Turkish Proof checkingAs a final quality assurance step, we will go through the Turkish documents again to give it an overall quality check, check on typos, any missing content and correct any inconsistencies in the translation. We can provide Turkish translation integrated into your marketing material, online platform, website, portal or system. Turkish language translation requires Subject Matter Expertise for a perfect result. We provide Turkish terminology experts who has worked in a related field of the source material in Turkish. Voice over in Turkish language and an array accents and other languages for cold or hot recording for broadcasting, e-learning modules or voice or video translation for corporate use. Turkish is an important language to consider for translation of your marketing material. A high quality translation will give you the maximum impact of your marketing material! A dedicated team of Turkish translators who combines Experience, Specialized Subject Matter Expertise with Translation Practices to deliver quality second to none. Our Turkish Translation Services in Malaysia are second to none as we have both Turkish translators in Malaysia as well as translators working on location in Turkey. Turkish langauge, also called Istanbul Turkish to differentiate it from other Turkic languages, is the official language of Turkey. It is spoken by about 71 million people who mostly reside in Turkey. There are other communities of Turkish speakers, however, in Bulgaria, the Caucasus, Northern Cyprus, Greece, and Macedonia. Out of all the Turkic languages, it is the most widely spoken. Our skillful Turkish to English translators provides translations from Turkish to English and English to Turkish translation that accurately conveys the intended meaning of the source content. Characteristics that distinguish Turkish from other languages include a lack of noun classes, a very prominent use of different forms of the pronoun “you” to distinguish between social aspects like age, courtesy, social distance, and general politeness, which is similar to some Romance languages like French and Spanish, and finally, its agglutinative nature; agglutinative languages are ones where a variety of word forms can be combined with one another to create more combinations and complexity in terms of meaning and nuance. Turkish is a Turkic language; other members of this family include Azerbaijani, Kazakh, and Uyghur (spoken by a minority group in China). While the basis of its vocabulary is of Turkic origin, there have been notable vocabulary influences from a variety of languages. Much of the influence stems from Arabic and Persian as Turkic peoples have historically had close contact with Islam. Other influences include Armenian and Greek, as well as a number of European languages, especially for more technical vocabulary. Turkish is written with an alphabet based on the Latin Script. Modified from the original, it is used exclusively for the Turkish language. This alphabet was adopted rather recently in its long linguistic history, in July of 1928. It includes 29 letters total, with special characters including Ç, Ş, Ğ, I, İ, Ö, Ü to represent native Turkish sounds. It is written from left-to-right and includes common features of European punctuation. Before 1928, the Ottoman script was used, which is basically a Turkish form of an Arabic script. Historically, the contemporary Turkish language stemmed from Old Turkic languages. Between the 6th and 11th century, there was a large expansion of Turkic tribes, especially across Central Asia. At this time, Turkic languages spread as well. Most notably, Oghuz Turks brought their particular variety of Turkish into Anatolia, which is a direct ancestor of the Turkish spoken today. By the end of the 11th century, the first comprehensive Turkic language dictionary had been written and published. By the time the Ottoman Empire had emerged, there had already been influences to the language due to the adoption of Islam by Seljuq Turks and the Kara-Khanid Khanate; both groups are considered as both the ethnic and cultural ancestors of the Ottomans. Linguists classified the Turkish of this time period into two distinct flavors, an everyday Turkish called “Rough Turkish” and Ottoman Turkish. The latter was the administrative language of government at this time, which utilized a large collection of loan words from both Arabic and Persian, languages that are strongly tied to Islam. During the Ottoman Empire (1299-1922), both the literary and official language was this variety of Turkish, which was a mixture of the previous iteration of Turkish, Persian, and Arabic. Interestingly enough, Ottoman Turkish would be largely unintelligible to the everyday Turkish spoken during this period, and also to the Instanbul Turkish spoken today. “Rough Turkish,” which was spoken by the masses, more closely resembles contemporary Turkish, and was in fact the basis for the modern language. Modern Turkish emerged after this period, especially after 1932, when the Turkish Language Association was established. The primary task of this institution was to conduct research on Turkish, with the goal of instituting a language reform, especially to replace loan words with Turkish equivalents. The language reform can be considered “successful” in terms of the replacement of vocabulary that did not have originally have Turkic roots, but at the same time, caused a large difference in vocabulary between older and younger speakers of Turkish. With each passing decade since then, the Turkish Language Association coins a number of new terms to replace terms that did not originate from Turkic origins, causing an artificial shift in the language. As a result, even Turkish from just 40 to 50 years ago may be quite hard to understand for a more contemporary speaker, and there have been cases where official speeches have to be translated each decade so that is kept up-to-date with modern language. In addition, Turkish speaking communities who are not based in Turkey do not necessary keep up with these changes, which results in further deviation between the different varieties of Turkish spoken around the world. Nowadays, Turkish being spoken in a number of territories, it remains an important language for the speech communities that use them. As it is an official language in Cyprus, Cyprus has petitioned for it to be included as an official language in the European Union, even though Turkey itself is not part of the institution. Moreover, Turkish has influenced other languages as well, most notably German spoken in areas where large Turkish populations reside. In these areas, the urban varieties of German that are spoken have taken on some aspects of the Turkish language, such as vocabulary, and have incorporated it into the slang used by youth, regardless of whether the speaker is of Turkish origins or not.